High-performance version of the original Micro Slave. Range up to 400' (122m). Ambient light-filtered for reliable outdoor use. With 1/4" Monoplug connection and standard female PC terminal as alternate sync connection. Box Dimensions (LxWxH) 3.701 x 2.677 x 1.181"
XL8-E Micro Ultra Slave is rated 4.0 out of 5 by 4. Rated 1 out of 5 by Banjo from Retraction I wrote the review above...and since then things have gone squaky ... it does not work consistently at all and is unpredictable ... my first review was done with very simple set-ups...when I began varying f-stops, speeds and camera to slave position (never more distant than 25') things became very unpredicatble...may be operator error, but as of now am disappointed. Rated 5 out of 5 by yakdriver from Magnificent little giant I am a professional photographer that works in many diverse settings. I have two of the XL8 ultra slaves and one of the -E models. These work very well in almost every situation I have been confronted with. Having a backup cable connection is a definite plus. The circuitry appears to protect newer cameras from high voltage damage posssible with older strobe power units. They adapt well to diverse ambient light, so using them outdoors for fill light is a snap. Rated 5 out of 5 by Banjo from solved my problem I have D80 and an old Profoto Compac studio strobe that was firing on my preflashes. I got this Wein Slave and problem solved...now I can use it with my SB-900s. Note that SB900s can use iTTL but Wein Slave does not read it so my Profo flash strength must be set manually. Also I only use it in my garage studio so cannot attest to the distance...otherwise been working great for about 3 weeks. Rated 5 out of 5 by Brooklyn_Dog from Ah-Maaaazing! These Wein slaves are great! I use them on shoots with all kinds of strobes, profoto, bron, etc Inside, outside and with lights outside windows they are perfect. When the pocket wizard fails these babies light it up. Is it compatible with the Auto 544 Sunpak flash? It can work by connecting to the PC female slot on the front of the slave. Do you aim the top of the slave (side opposite the plug) at the flash used to trigger it, or is it omni-directional?Thanks. The slave needs to be able to see the flash go off, when possible, a direct line of sight is ideal. 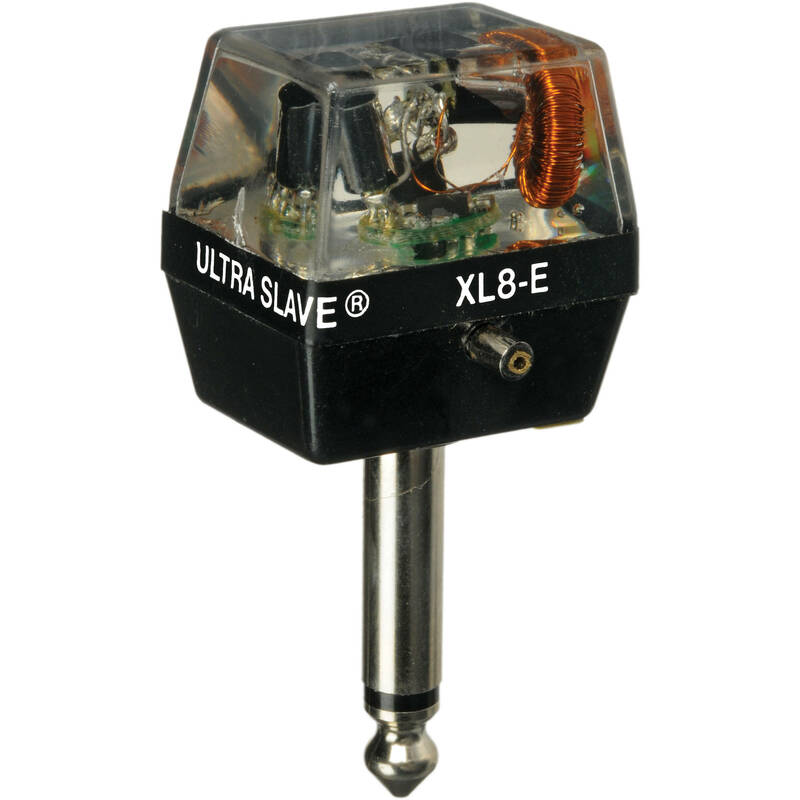 The top of this slave (which based on the way the image is depicting it on our site is the face opposite the end that gets plugged in) is the business-end of the slave, meaning thats the face that you want to direct towards the strobe flash.